This men's chronograph watch from Sekonda offers ultimate functionality and comfort, ensuring you will be ready for any adventure. With its multi-faceted dial displaying both analogue and digital time, day, date and year display windows, stopwatch and alarm functionality means this watch is perfect for everyday. The black resin textured strap and bezel gives this watch a rugged, masculine look that will be resilient to all conditions. 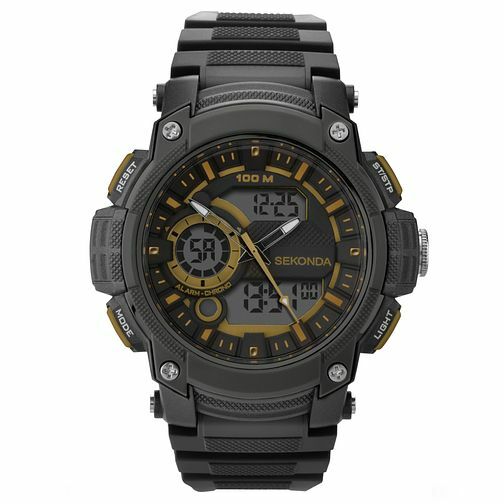 Sekonda offers a wide range of innovative designs using high quality materials to create durable and stylish timepieces.